The man in the centre of this photo is Henri Bura Ladyi. 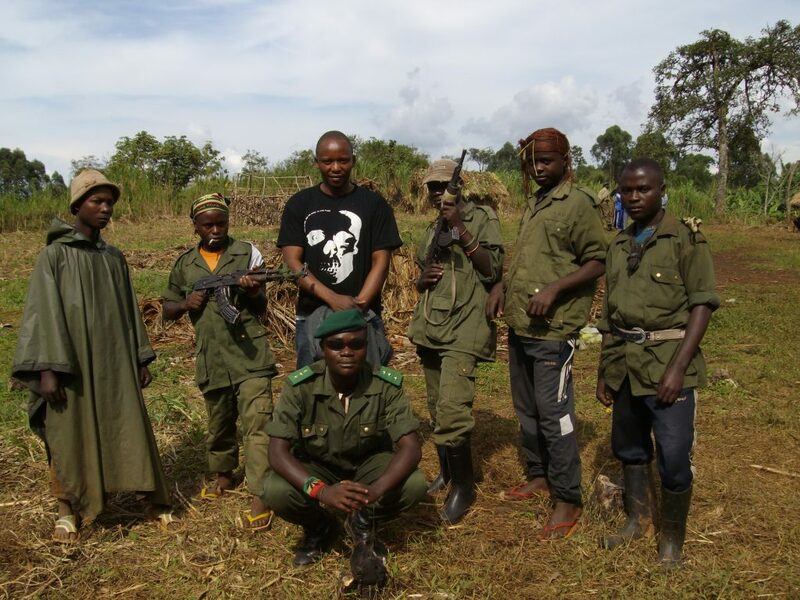 He regularly faces militants in the Congolese bush to undertake sensitive negotiations, the sort that only local actors can do because they are trusted by all parties. Henri and his colleagues have convinced 5,700 militia fighters to put down their weapons and leave the bush. What this means to me. In Henri’s work I see real compassion in action, as he applies exactly what he needed when he was himself a child soldier, to the plight of youngsters caught in the same terrible trap. I love the cool intelligent way he will bargain a goat (worth $5) for possibility of taking a kidnapped child back to his family. It is people like Henri who inspired me to set up Peace Direct, now an international charity dedicated to stopping wars, one person at a time. In conflict zones around the world, we support local people to stop violence and build long term peace. We work in places like Burundi, D.R.Congo, Israel/Palestine, Pakistan, Philippines, Sri Lanka, Somalia, South Sudan, Syria and Zimbabwe. Using communications technology, they gather data on emerging crises to analyse key trends and respond to events on the ground, preventing conflict before it erupts and stopping people from being drawn in when tensions flare. Where violence sparks, they devise swift and effective solutions to stop it escalating. We analyse and share their reports and first-hand evidence with decision makers around the world, alerting the world to serious violence and advocating the ways that local activists know will transform the situation.